Hiras Fashion was recently featured in Hong Kong's popular television show. The episode showcased Hiras Fashion's headquarters where all custom clothing are handmade and processed. Along with bespoke suits, Hiras Fashion also carries a full range of Bar Legal Regalia for the commonwealth countries. Among their products are 100% horsehair bar wigs, gowns, bar jackets and more. "The calls have stopped now," says Mr. Hira. "While we were looking forward to it, there was always an element of doubt." 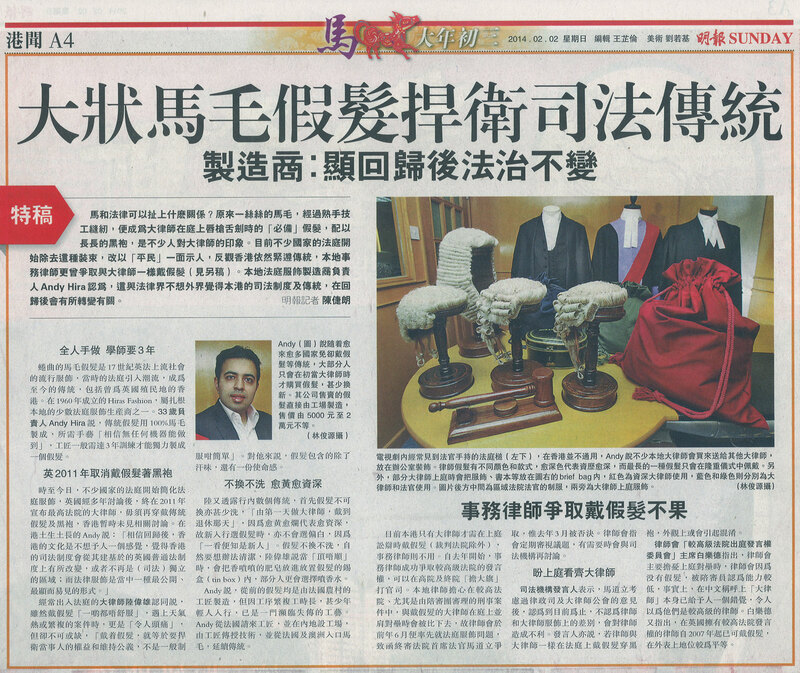 featured on Ming Pao Daily news, Hong Kong, 2nd February 2014.